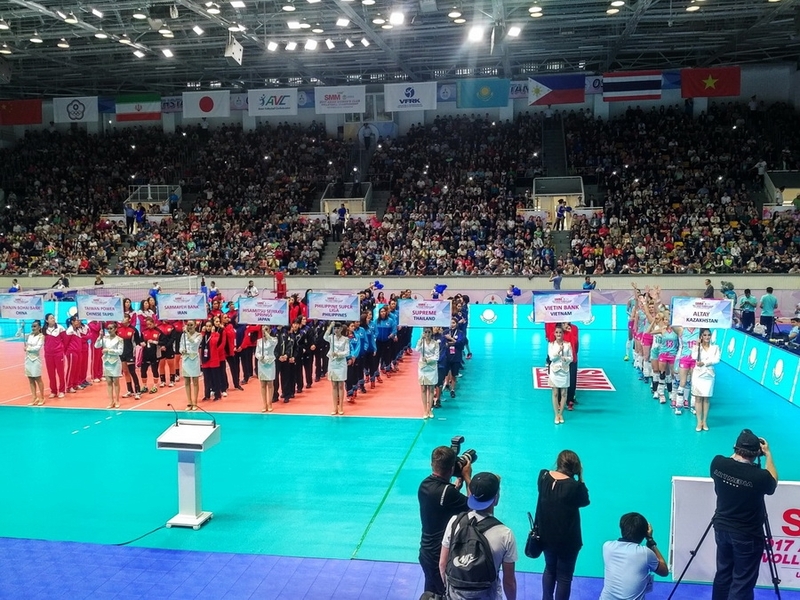 The Grand Finale of the prestigious 2017 Woman’s Asian Club Volleyball Championship took place yesterday at Boris Alexandrov Sports Palace in Ust-Kamenogorsk, Kazakhstan, currently the most advanced volleyball venue on the planet, now equipped with Colosseo technology, leader of the venue market. 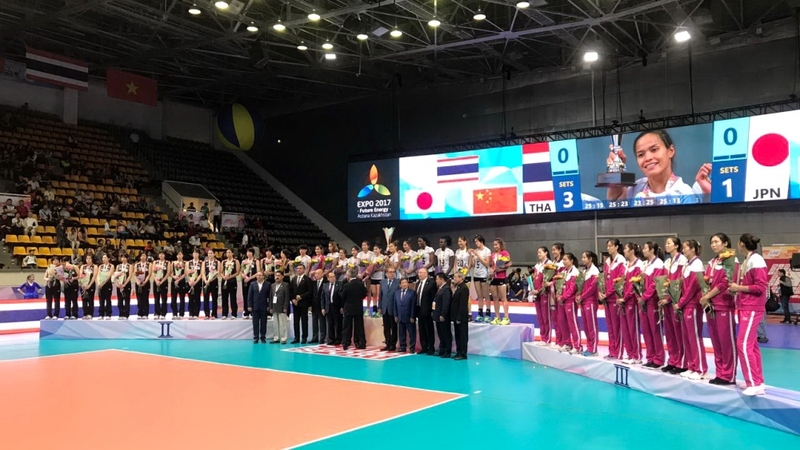 Team Thailand has become a winner of the whole tournament after defeating team Japan in the final match 3-1. 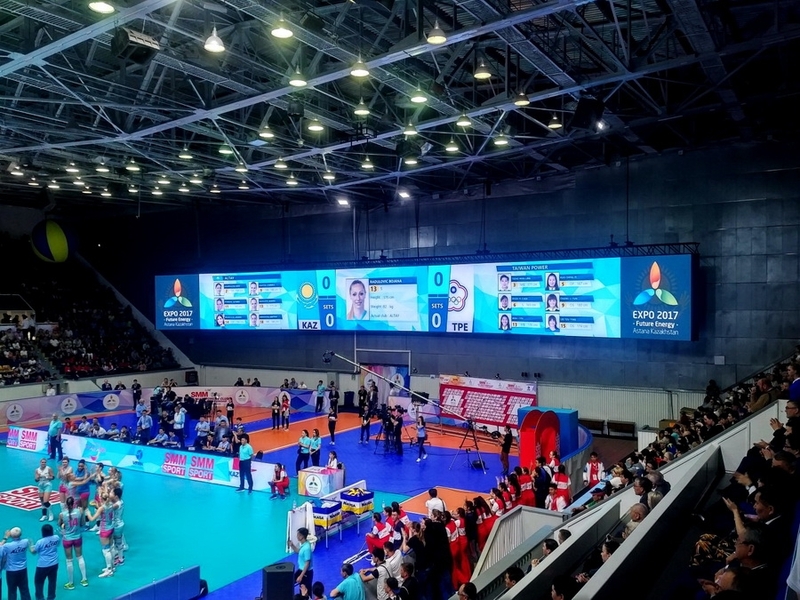 Colosseo is proud that it has installed its leading technology at the championship venue. 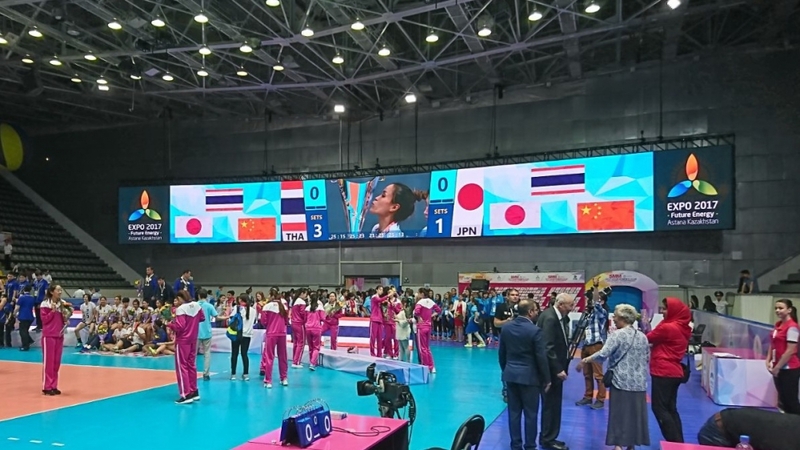 The most exceptional part of LED display delivery include a uniquely designed and globally first curved and largest indoor HD LED screen which is over 33 meters wide, with 8 mm line spacing and 4K surpassing resolution to provide fans and visitors with an outstanding visual experience. 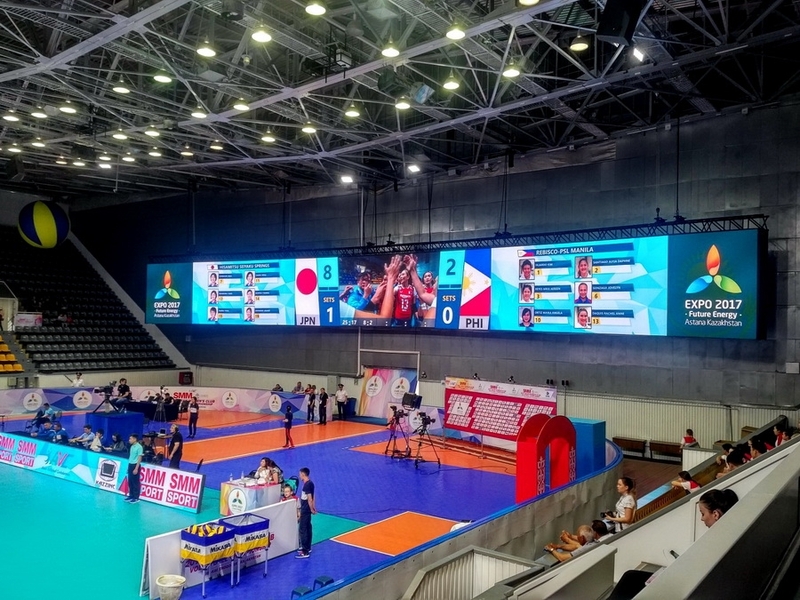 The arena also received LED perimeter boards with the same 8 mm line spacing. 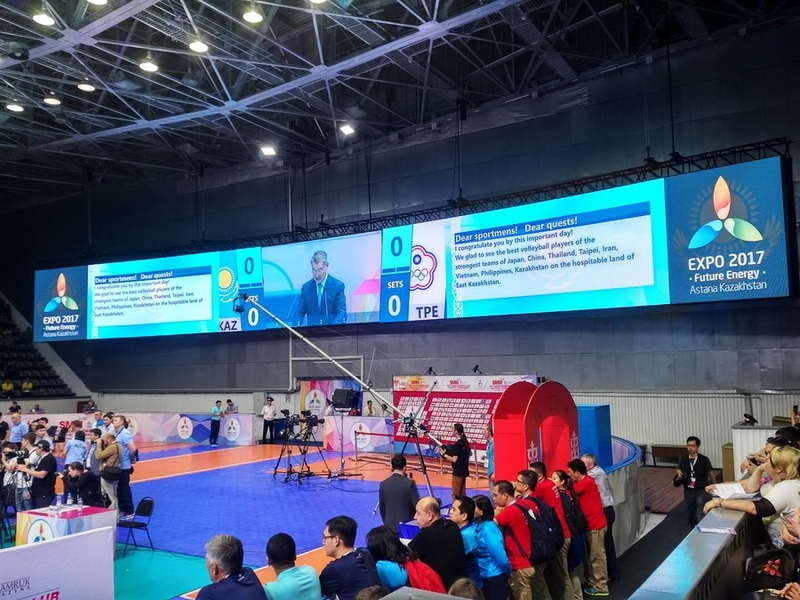 Colosseo also delivered Volleyball Challenge System, which is a video solution for referees’ judgment, allowing teams to request a review of actions which they suspect are faults not identified and duly signalled by the referees or line judges. 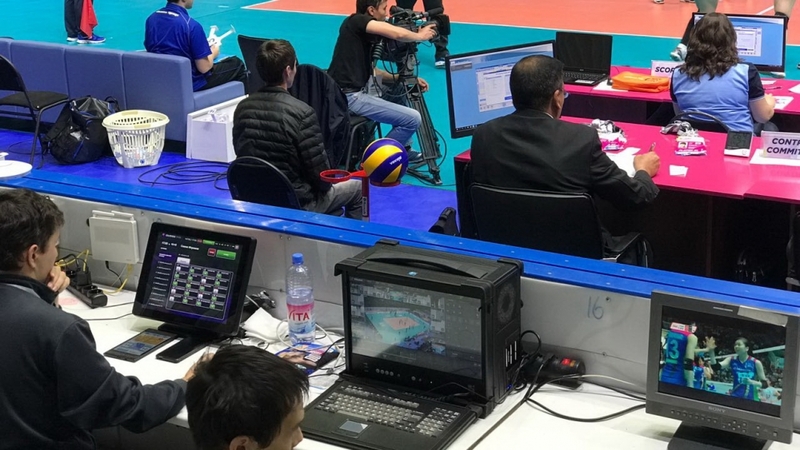 The challenge system uses 16 high frame rate cameras with up to 200 fps for maximum judgement precision. 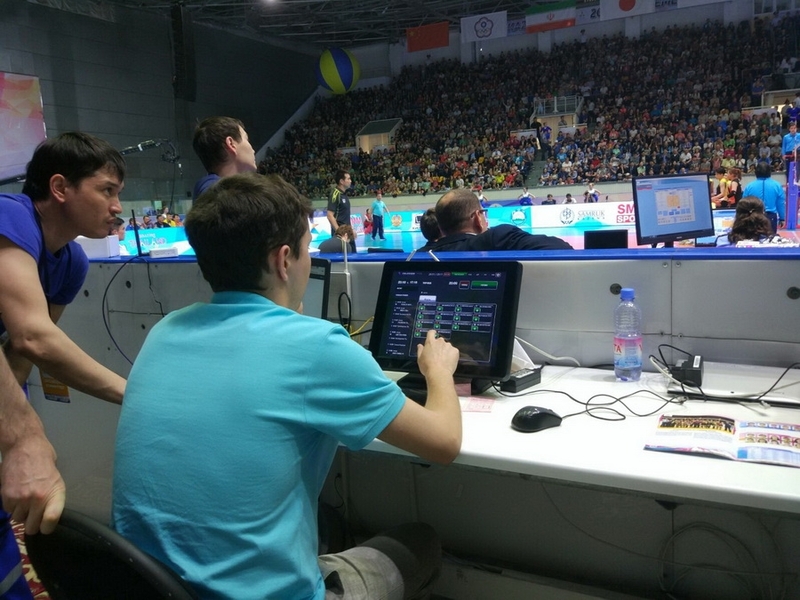 The whole system is specially designed for volleyball games and is also fully integrated and connected with the Colosseo Timekeeping, scoring and statistical system. 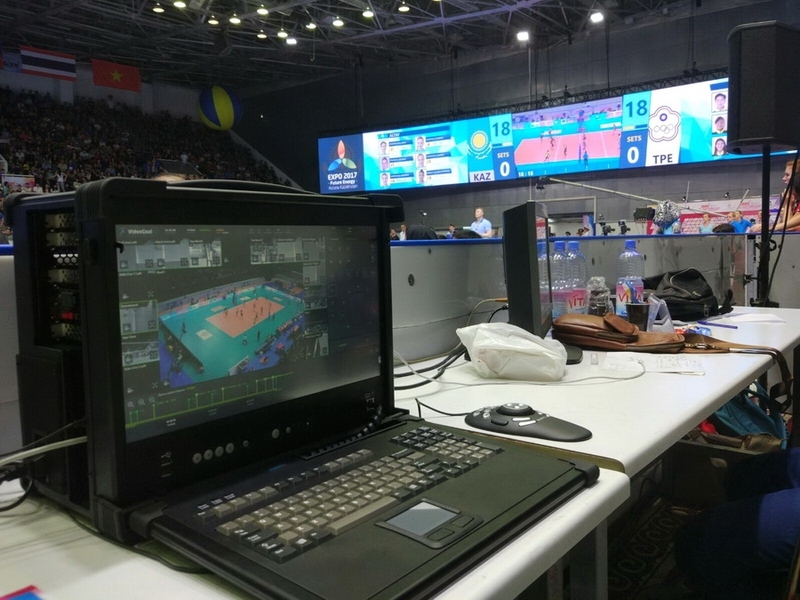 The impressive final ceremony also involved permanently installed 3D mapping/projection on the court with the latest Colosseo Projectors and content control with 4K surpassing resolution.The content for all LED displays is under the direct control of the Colosseo Single Media Platform, the leading content control and distribution solution for sports venues, used by world known venues like Verizon Center in Washington D.C., AccorHotels Arena in Paris, VTB Ice Palace in Moscow or Zenit Arena in St. Petersburg for the upcoming 2018 FIFA World Cup. 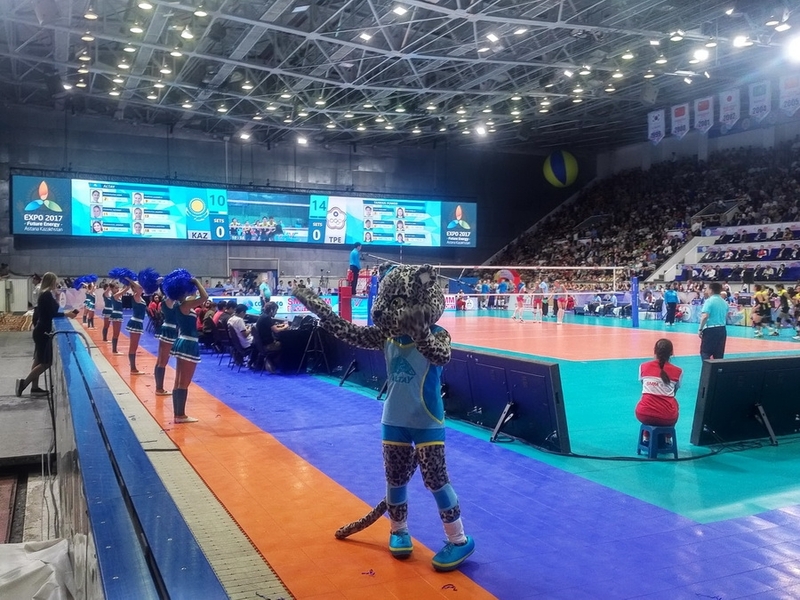 Boris Alexandrov Sports Palace has become the most advanced indoor venue in the wide Asia region and has set a new standard for LED displays, content control and fan comfort, satisfaction and infotainment.